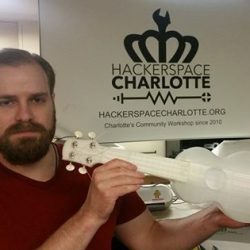 Hackerspace Charlotte is a non-profit organization where people with common interests, usually in computers, technology, or digital/electronic art can meet, socialize, and collaborate. HSC can be viewed as a kind of open community lab incorporating elements of a machine shop, workshop, classroom, and studio where all kinds of makers can come together to share resources and knowledge to build and make cool things. 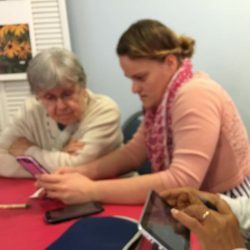 We have members from a wide range of backgrounds - including engineering, information security, interdisciplinary art, computer science, music, woodworking, philosophy, and corporate management. Our 4th annual ‘Superbowl’ party has already started! We are working on projects from 9am-?! Potluck snacks, games, commercials, and hacking. It is free and open to the public. Grab a friend and join us! :Disclaimer: there will be no football viewing at this gathering. Happy Holidays – IoT Lights! IoT lights to celebrate the holidays at the space Hackerspace Charlotte wishes you all Happy Holidays, Merry Christmas, Happy Hanuka, Winter Solstice, Festivus and\or whatever you celebrate. Most importantly – Happy Hacking!